As part of an effort to streamline and codify policies and procedures related to sexual harassment on campus, the Board of Regents, in August, approved the creation of a new position, Title IX coordinator, a position previously held, in part, by Dean of Students Matthew Park. In addition, the Board approved hiring Rachael Fornof to fill the position. Student Affairs and Enrollment Vice President Keith Lamb introduced the changes to sexual assault procedures in section 7, at the last Board of regents meeting and said the policy for sexual assault hasn’t been changed but the way that it is approached has. Following this report, administrators also began working on a Title IX handbook. There are two different policies, one in the student handbook and another in the employee manual. Now that the section 7 procedures have been changed administrators plan to work toward making a singular policy for both faculty and students. They are also getting the opinions of the different senates on campus. This includes the Faculty Senate, Staff Senate and the Student Senate. With the new procedures there is also a mediation option for more minor incidents. With this the Title IX coordinator or an appointed person will help mediate between the complainant and respondent. This option is only available for Title IX issues. 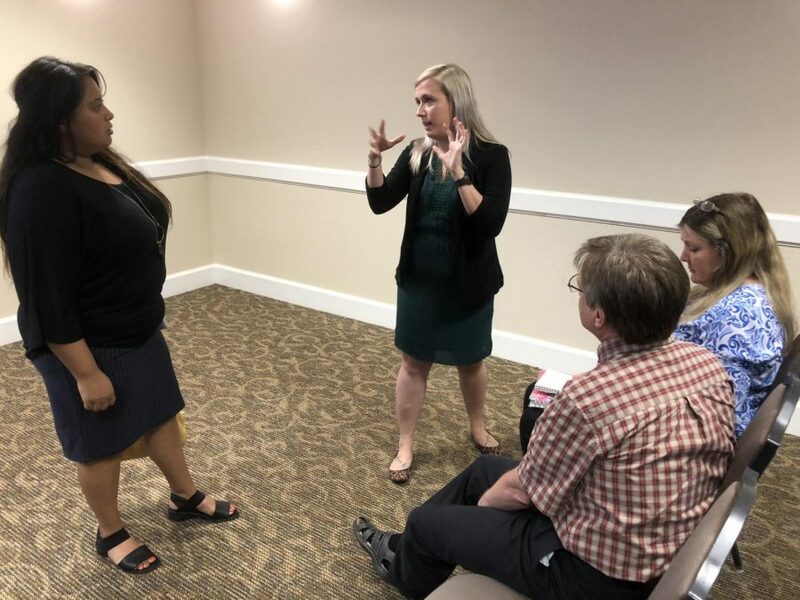 Getting a Title IX coordinator was already set for Sept. 1, but after last spring’s sexual assault forum, administrators decided to up the timeline and got one before the start of the school year. Now that there is a Title IX coordinator different events pertaining to sexual misconduct and the procedures to get in contact with her are being made more clear. With the isolation of the position Fornof has two main things she oversees, preventative programing and the compliance of the Title IX procedures. Students also like the fact that the position is being isolated and has more of a focus on Title IX issues. Fornof also said she really wants to get students educated and excited about preventative programing with whatever means. She has already put up posters in the women’s bathrooms around campus with information on how to get in touch with someone who can help with issues pertaining to Title IX. There is an approximate 60-day deadline for an investigation give or take. The investigation starts when the Title IX coordinator meets with the respondent and at the end of the investigation the Title IX coordinator makes a decision on the defining responsibility. Fornof has a law degree from Pennsylvania State University and while at school she helped with programing. This gives her a better understanding of what kind of things students would be interested in and have an easier time interacting with them. She also has a law background and has experience in Title IX cases. What she said she likes about Midwestern State is that they are trying to pull in people from different backgrounds and not just people who have worked in a university. Lamb also said Midwestern is lucky to have someone with Fornof’s enthusiasm and the ideas she brings to the table. Out of all the things she has implemented the new app may be the quickest and easiest way to get information on how to deal with a sexual assault or other title IX issues. She said she is excited to see that changes that will be made by having a new Title IX director.